I can say that I have never camped in a suspended tree tent. Let's be open minded to the idea of camping amidst the trees. I'm sure it would be quite the adventure. 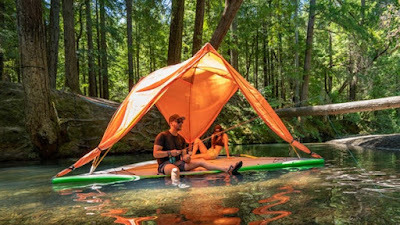 When I was reading this article I was amazed at what you can do with this particular tent. It is a five-person camping shelter that can be pitched in the trees or on the ground. I am all about trying new things and I would be interested to hear your option and about your adventures in a suspended tent.